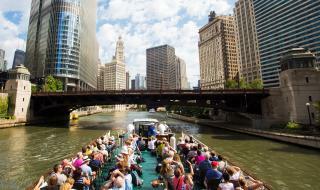 You know you need to go on a Chicago cruise, but which one is best for you? 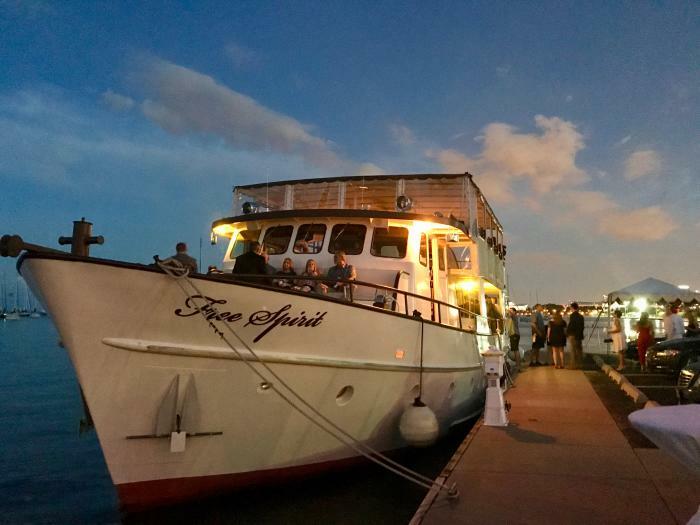 Use this guide to some of our most popular boat tours to pick your experience. Around the world, Chicago is known for its outstanding architecture, and it&apos;s easiest to admire the city&apos;s legacy from the water. By partnering with the Chicago Architecture Center, Chicago&apos;s First Lady offers the most comprehensive tour of the skyline — docents must train 100 hours before they can lead tours. In 2018, MONEY Magazine named the tour the most popular attraction in Illinois. Since Chicago was established by Jean DuSable, the Chicago River has played an important role in the city&apos;s development as a whole. On this tour, see exclusive photos from the Chicago History Museum archives, review the history of the Great Chicago Fire, and listen to stories about how the city we know today came into being. Complimentary coffee, tea and cookies are provided. 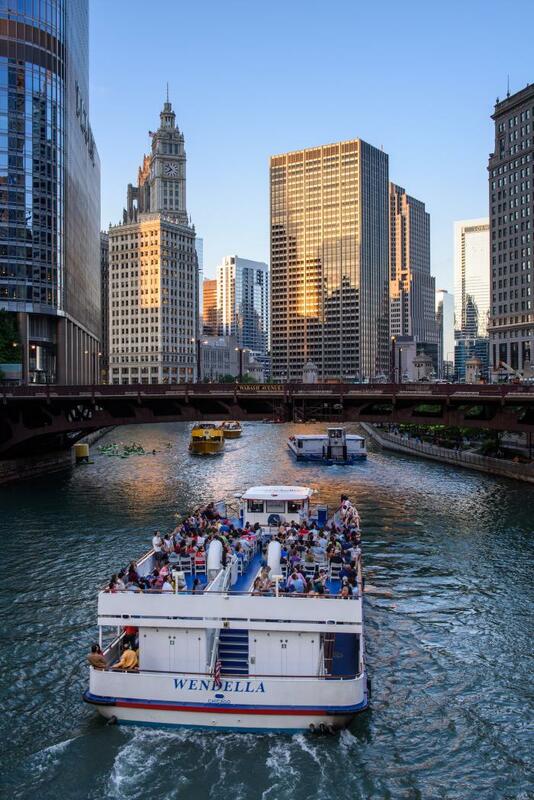 Chicago Line Cruises also offers Chicago Architecture, Cocktail, and Architecture and Firework Cruises. For three generations, Wendella has been cruising the Chicago water waters. With its variety of tour options, cruise times and lengths, and a heated, enclosed cabin, Wendella is a great choice for families looking for flexibility. Wendella also offers a variety of cruise options, including wine and cheese, beer and BBQ, and holiday specialty cruises. See all options here. 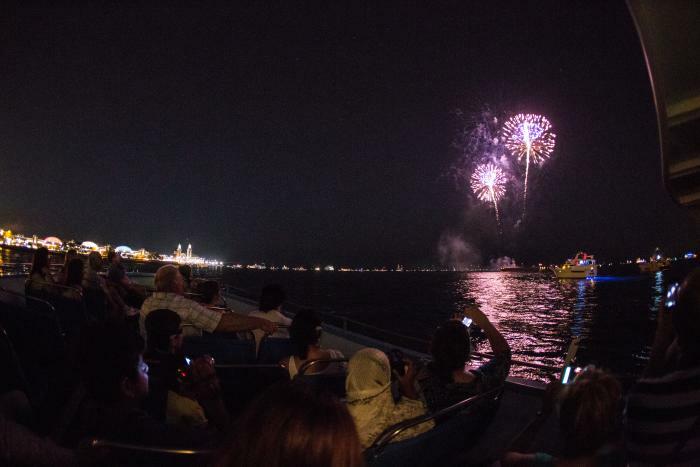 While Chicago&apos;s summer fireworks are already fun to watch, it&apos;s an entirely new experience when you&apos;re on a 3D tour. 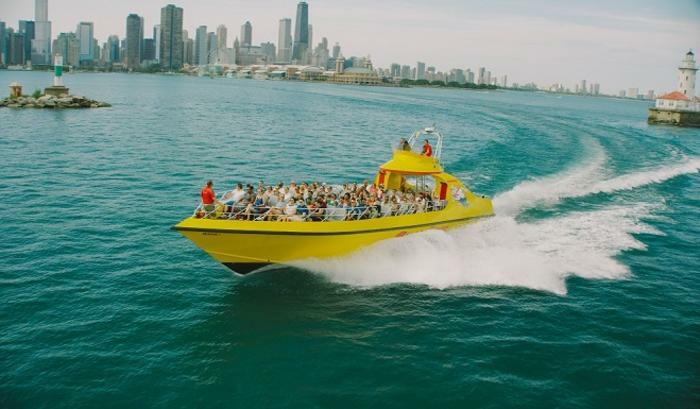 Before the show, you&apos;ll cruise around the lake and see some of Chicago&apos;s famous landmarks. Mercury Cruises also offer Urban Adventure, Canine and Chicago by Night tours. Hop on! 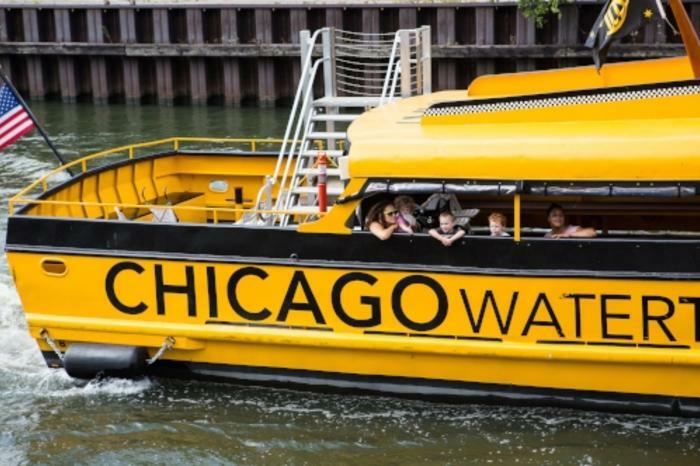 The Chicago Water Taxi will pick you up at one of its stops in the Loop, turn down the Chicago River&apos;s south branch, and drop you off at Ping Tom Memorial Park in Chinatown. Features of the park include Chinese landscaping; a playground; a field house with swimming pool, fitness center, and patio with skyline views; walking paths by the river; and a boat house offering kayak rentals. Are you up for a thrill? Race across Lake Michigan on SeaDog Cruises at speeds of up to 45 miles per hour, taking complete 360-degree turns. You&apos;ll go through slalom runs, sharp turns and feel the power of two 1400 HP engines on the water. SeaDog also offers lakefront speedboat tours, and a river and lake architecture tour. 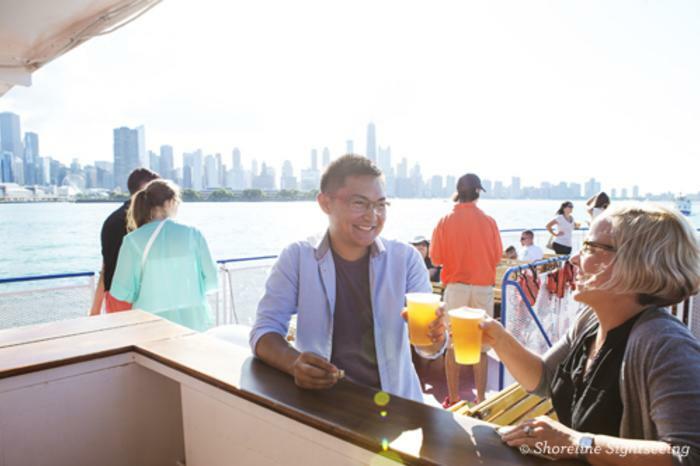 One of Chicago&apos;s classic cruise options, Shoreline Sightseeing covers all the bases. They offer classic lake, architecture and fireworks options, plus specialty cruises and holiday events. 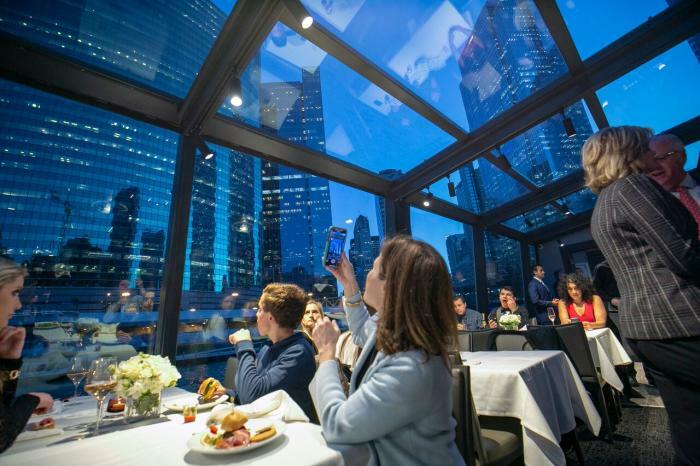 Odyssey dining cruises have always been a stunning way to treat yourself or create a memorable moment in Chicago, but their brand new boat brings the fine dining experience to the Chicago River. The glass-enclosed vessel offers passengers panoramic views of some of the city&apos;s most iconic buildings. Looking to splurge a little? These private yacht charters are the way to go. The spacious yachts comfortably fit up to 49 or 120 people, making them the perfect option for a large celebration or an intimate gathering. Premium bar and catering packages round out the experience. 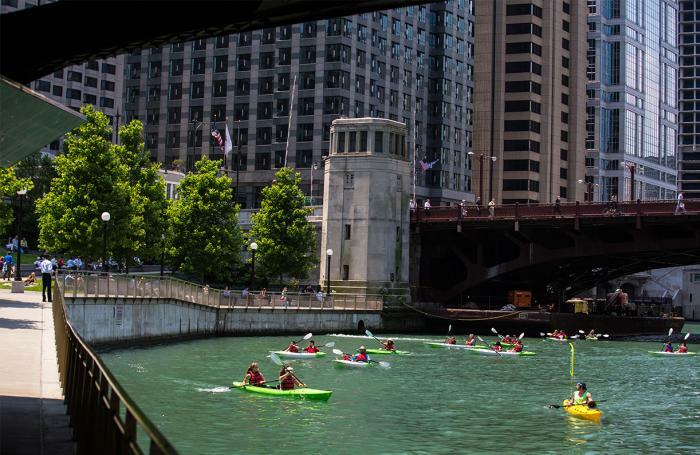 If you&apos;re ready to ditch the captain and pioneer the Chicago River on your own, then it&apos;s time to grab a paddle at Urban Kayaks. You&apos;ll go through a brief training session before you hit the water, but you&apos;re free to travel at your own pace.